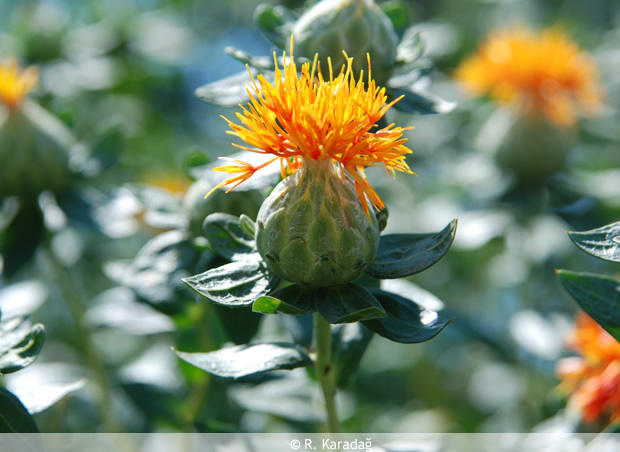 Safflower is an annual thistle-like plant. It grows to almost 4 feet and has thorny, toothed leaves and large orange-yellow blossoms. 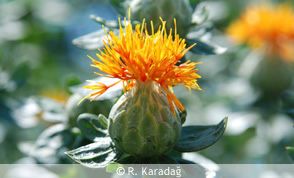 Distribution: Safflower was probably originally endemic to Western Asia . It has been cultivated for thousands of years, not only in this area but also in North Africa and Europe . Material used for dyeing: Flowers.